The J20 is about same weight as the F14, and has similar dimensions too. J15 is about same size as well. Only thing really holding it back is it’s status as an air superiority “duelist”, but the function of bomb truck could be filled by J15 and stealth drones later. J15 Being held back due to j31 being awaited doesn't make sense to me. We have a carrier that's gonna be commissioned within months and another one that will be launched within 2 or so years. Those carriers will need planes. J31 will need time to get developed. Especially if true thst navy wants an enlarged version from v2. We are talking about 6-8 years before any sort of squadron is ready. And a few more years before 40+ worth of planes are ready for a carrier, for a full wing of 003. PlaN certainly didn't build those carriers just for show. For years we are being shown only photos of what pla wants to show us. They just don't want to show further j15. From 002 being commissioned and onward we will start to see images of further j15 trickling in. weig2000 and t2contra like this. Well, that’s a good point, in which case it does make a J20 based carrier fighter for better timeframe wise. 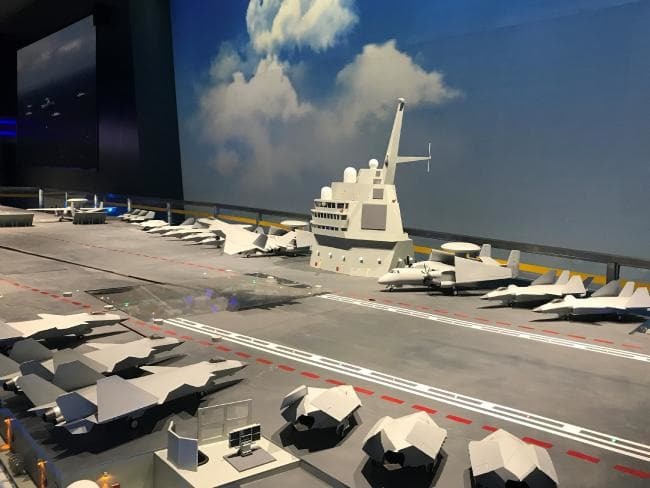 It would take far less time to develop a carrier version of the J20 than to bring the J31 to the same state, especially if the design work has already been underway for some time. From the sound of things though it seems the PLAN is going for a midweight fighter, not a heavyweight fighter. Navalizing *and* downsizing the J-20 might involve quite a lot of work. N00813, anzha and Bltizo like this. Reportedly, V3.0 J31 manufacturing time has reduced 30% , much faster than j20 style due to 3D, laser. N00813, Rachmaninov, KIENCHIN and 2 others like this. AFAIK this is not V3 but an old image maybe even showing V1 only. N00813 and schrage musik like this. Everyone is talking about the J-31 for carrier ops. But can the J-31 design take off from a ski-ramp ? Or do we have to wait for Type 002 AC to come out. I'm not clued up on carrier aircrafts. So can someone help me here. I just thought that for a carrier aircraft. It's best that the wings can be folded. I remember seeing photos of the j31 in a back of a truck driving around and the wings are fixed. So the question is: fo the wings have to be folded to fit into the hanger. And if so. Have anyone seen a folding j31? If the J-31 is ever navalised, the timeline will fit more into the Type 002 availability. However that is a big if because I don't think anybody knows for sure that decision has been taken. In naval aviation design, the problem is not in the take off but in the landing. A cat solves a lot of problem with take off. As evident from the J-15 issues, the problem was stability in the landing. That would present the same issues for the J-31 in terms of having the appropriate flight stability design to manage a "control crash". It was the same issues for the British when they tried navalising the Typhoon for the QE and realised that it was not merely about strengthening the landing gears and the central airframe.